Salt, pepper, onion powder, garlic powder to taste. Slice each pepper in half, removing seeds. Cut each half into thirds. Spray a cookie sheet with non-stick cooking spray and arrange pepper slices on the sheet. Bake in 350 degree oven for 22 minutes or until pepper slices are tender. While peppers are cooking add tomato sauce, Splenda, seasonings to taste, mushrooms and onions into a mixing bowl. Set this aside until peppers are cooked. 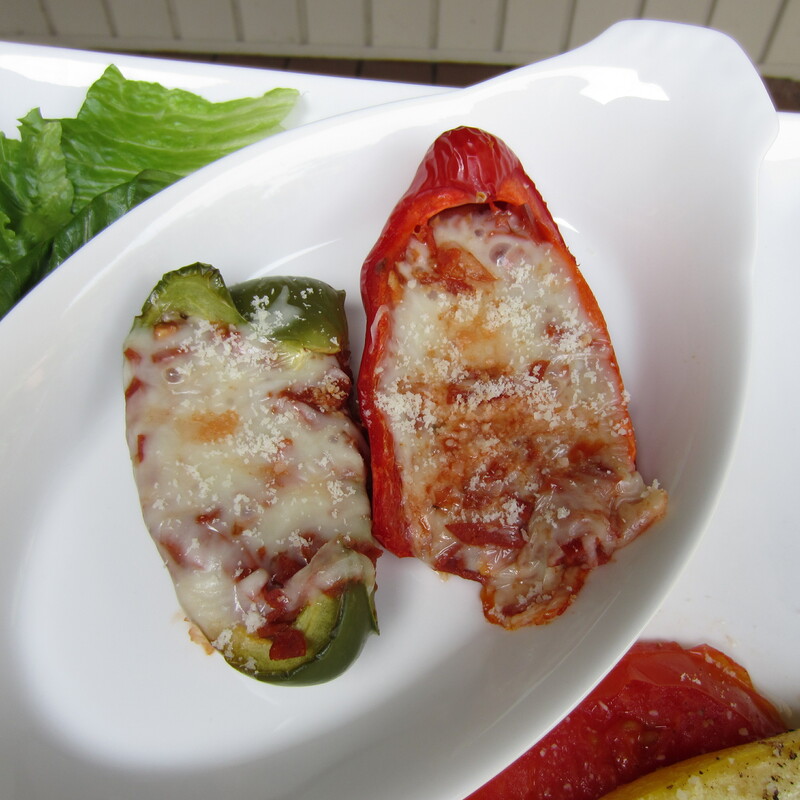 Remove cooked pepper slices and allow to cool slightly. 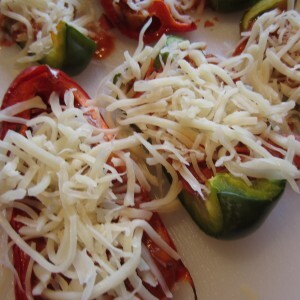 Add a scoop or two of the tomato mixture to each pepper slice. Top with pepperoni and mozzarella cheese. Bake for 10 minutes until the cheese has melted on top. Remove from oven and immediately sprinkle with grated Parmesan topping. Dive in! Two slices of this pepper crust pizza is in the neighborhood of 128 calories. Not bad~!